Maui – Scientific Consultant Services, Inc.
SCS Archaeologists and Charlie Jencks, of Wailea 670 Associates, met with fifty-five public school teachers from the Department of Education at the Honua’ula project site for a discussion on the area’s history and archaeology. 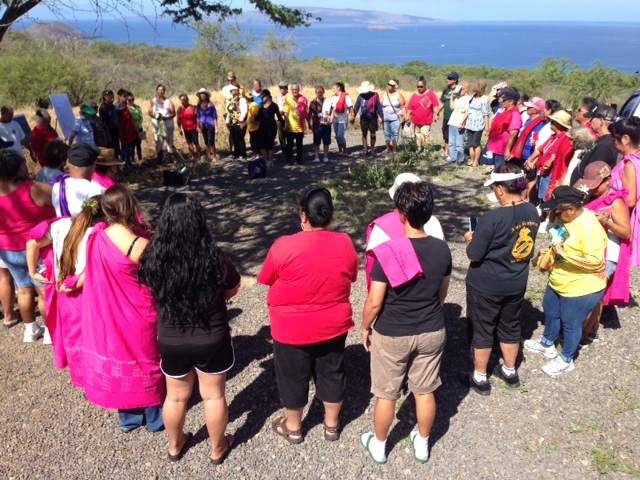 The teachers are on a tour of cultural sites around the Hawaiian Islands, including a night on Kaho’olawe. 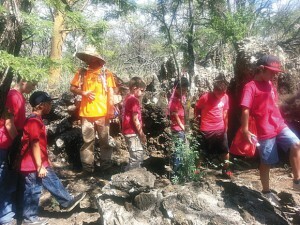 Cub Scout Pack 55 of Kihei experienced a tour of historic Native Hawaiian home sites, religious shrines and farm terraces in the Honua’ula project area on Friday, Oct. 11. SCS documented the archaeological features of the site during fieldwork and recently completed an Archaeological Inventory Survey. Archeologist Ian Bassford led the scouts. Bassford is a field archeologist who has documented over 500 archaeological sites found within the southern 190 acres of the proposed Honua’ula project. See the article at Maui Weekly for more.